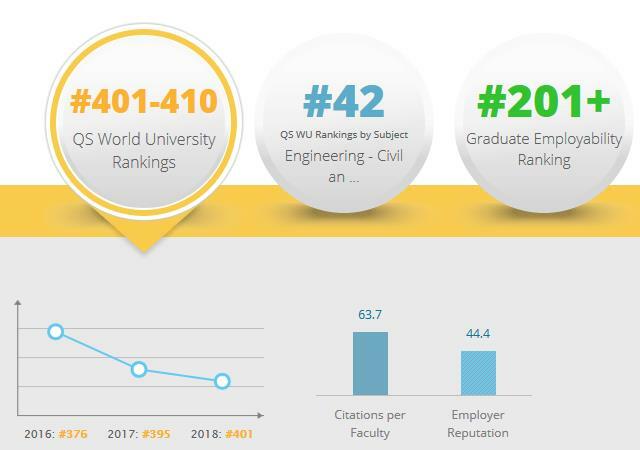 The image from the QS website for NTUA shows (a) the slight decline in NTUΑ's ranking (from 395 in 2017 to 400-410 in 2018), (b) the great contribution in the good ranking of the recognition of NTUA's research (Citations per faculty) as well as the reputation of its graduates (Employer reputation); (c) the good ranking in terms of employability (Graduate employability ranking); and (d) the decisive contribution of the School of Civil Engineering in the overall classification of NTUA. 1 year, 10 months ago. 22:55:31, 07-6-2017.